Over the last year I have been privileged to photograph the beautiful Maddie multiple times. We decided to break her senior session into 3 different sessions and it has been so fun to get to know her AND to photograph her in so many looks and different locations! We decided to take her summer session out to the wilderness since the weather was beautiful! As it often does in Idaho, a wind came up and caused us to work extra hard. But every once in a while the wind came up at just the speed we needed it! Thanks Mother Nature! 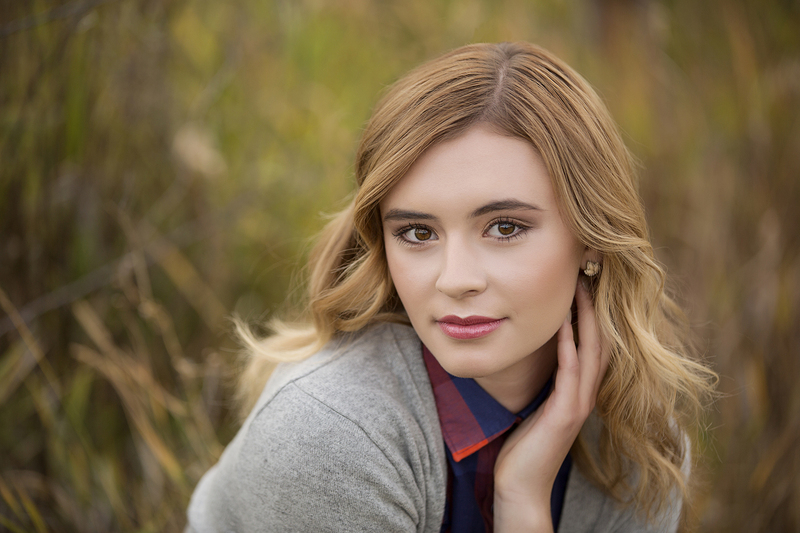 Maddie has been a dancer for years and we wanted to incorporate that into the session. The horses were just a bonus and they were very curious and had no respect for personal space. I may have ran from them in fear from time to time. 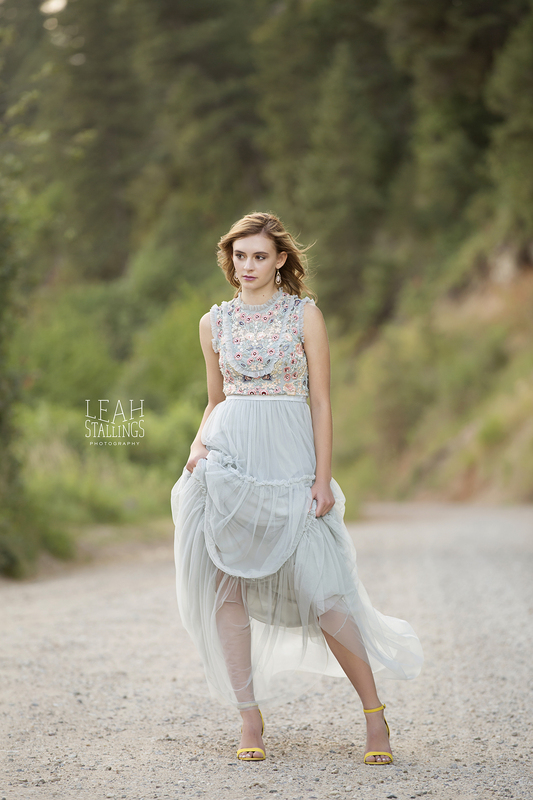 For her fall session we stuck a little closer to Idaho Falls. I always love the change in the seasons when the gold and orange tones start to show up in nature. 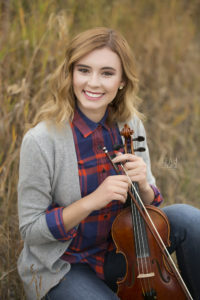 Maddie is a fabulous violinist and I am so glad that she brought her violin along with her. It was the perfect shade of warmth to blend with the golden grasses of fall. This adorable vintage desk was given to me by a friend and client (and amazing teacher). I hadn’t had a chance to take it out on a session up to this point. It is heavy and awkward and not easy to move around but I LOVE LOVE LOVE all the images that we used it in! The sun was fading fast and I am so glad that I have the ability to take the studio on location with me. I love the contrast in this image and that we were able to keep shooting even after the sun had faded. Stay tuned for our spring session. We are just waiting for those blossoms to bloom! I have had such a wonderful year working with the class of 2018! 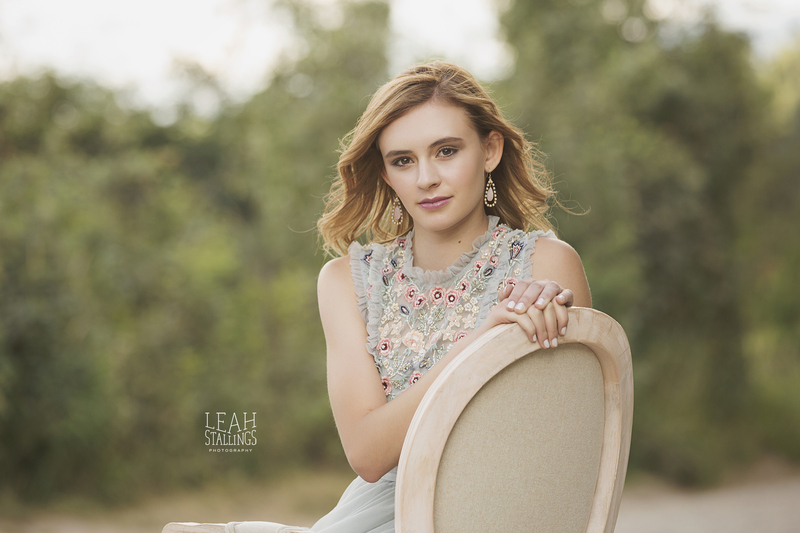 I am currently booking appointments for the class of 2019!